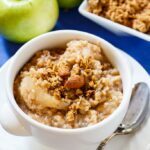 Slow Cooker Apple Pie Oatmeal has tons of apple flavor and is one of my favorite ways to fix oatmeal in the fall. 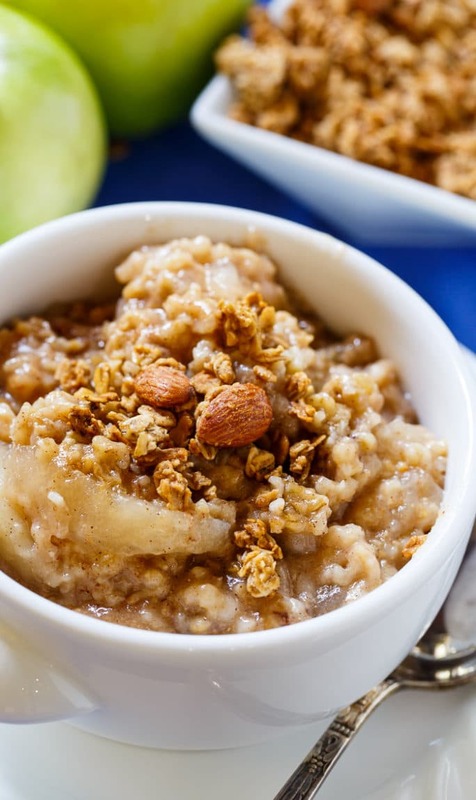 Once the cooler fall weather sets in, I start to crave a warm bowl of oatmeal. With apples, brown sugar, and apple pie spice, this thick and hearty oatmeal is full of comforting fall flavor. The apple flavor comes from applesauce and a can of apple pie filling. I love getting all that apple flavor without having to chop up a bunch of apples. 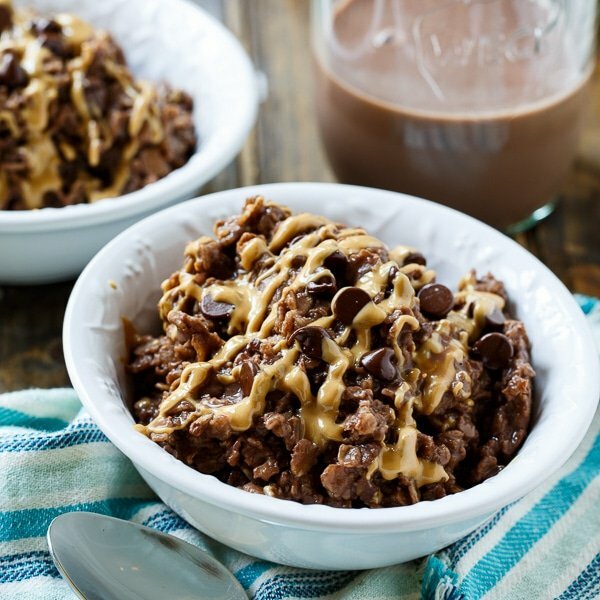 This recipe is perfect for when you don’t want to spend much time in the kitchen. 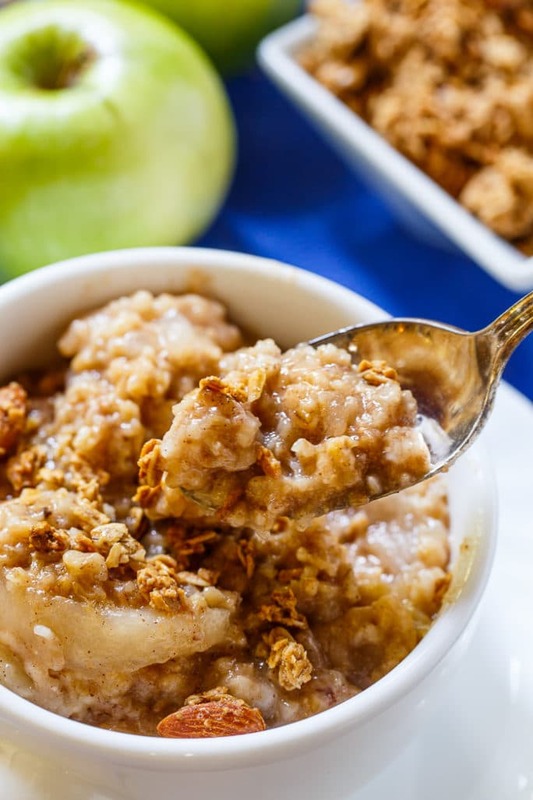 I use a 4 1/2-quart crock pot for this Slow Cooker Apple Pie Oatmeal. I think you could use a 6-quart crock pot, but it would need a shorter cooking time. I cook the oatmeal on LOW for 5 to 6 hours and I stir a few times during cooking. It has a tendency to burn around the edges. If your crock pot doesn’t run on the hot side, you probably could get away with cooking it for 7 or so hours without stirring. But I would definitely add another 1/2 cup or so of liquid. This oatmeal does reheat well. Store it for up to 3 to 4 days in the refrigerator. It will thicken up considerably, but just mix a little liquid in and microwave until warm. Coat a 4-quart slow cooker with cooking spray. 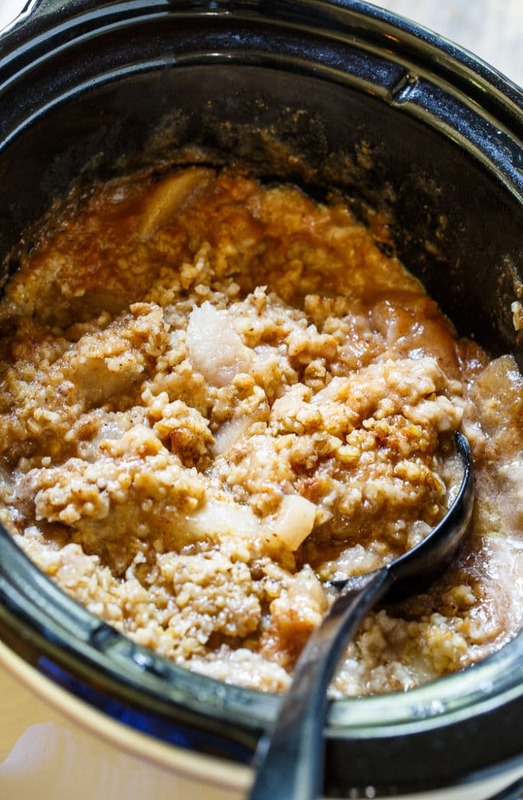 Stir together milk, water, applesauce, brown sugar, butter, apple pie spice, salt, and steel cut oats in the slow cooker. Spoon apple pie filling on top. If possible, stir once of twice during cooking time to help prevent sticking and burning around the edges. This entry was posted in Slow Cooker and tagged apples, oatmeal. Bookmark the permalink. 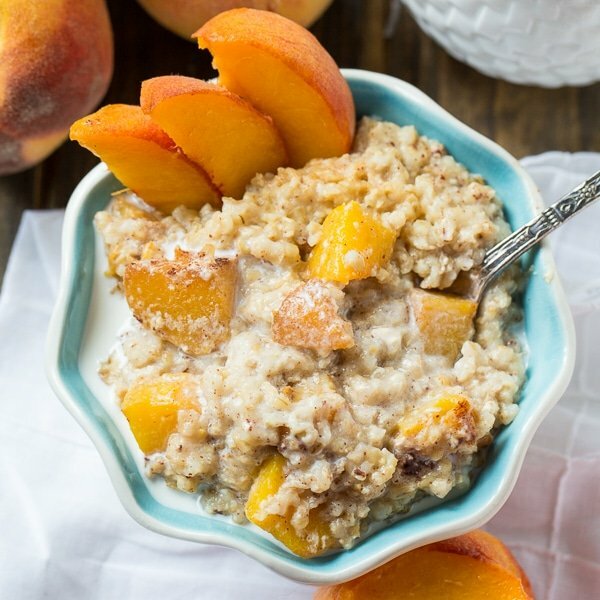 Oh I’ve never thought to make oatmeal in a slow cooker before! This is such a great idea, Christin! I bet your house smelled amazing when this was cooking. Such a delicious flavor, too!